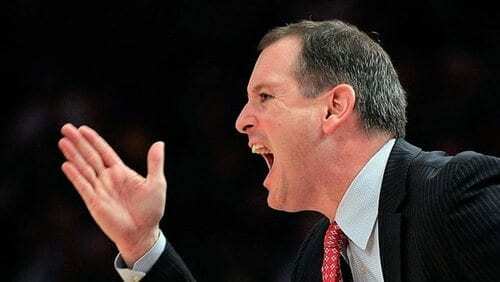 Rutgers officials had already seen the video showing coach Mike Rice shoving, grabbing and throwing basketballs at players during practice and yelling gay slurs at them before it was aired by ESPN on Tuesday. Now that the video has gone viral, many — including the governor of New Jersey — are wondering why Rutgers let Rice keep his job at all. Athletic director Tim Pernetti said Tuesday that the school was reconsidering its decision to retain the fiery 44-year-old coach. This entry was posted on April 3rd 2013 at 3:46pm/15:46 and is filed under Entertainment, Live News Column 1. You can follow any responses to this entry through the RSS 2.0 feed.